Cervical traction is a treatment used by physical therapist to treat neck pain and injuries related to the spine and neck. Cervical traction gently pulls the head away from the neck to expand the neck and spin which then eliminates compression. This treatment is used as an alternative treatment to medication and surgery. 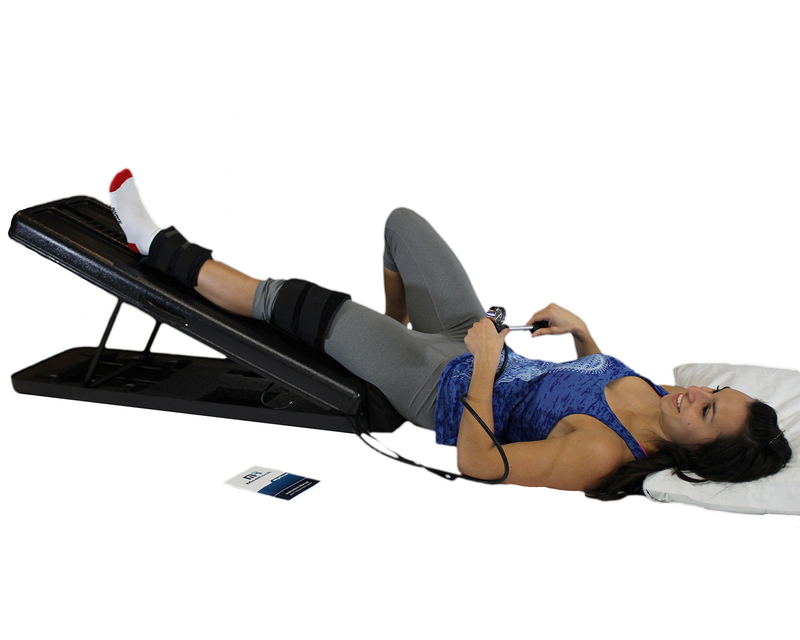 In physical therapy offices advanced equipment called clinic traction decompression tables can be used to apply a treatment called spinal decompression therapy. A patient who then benefits from this treatment can maintain the benefits of this by using home use over the door traction which can be conveniently used at home. Along with this, we offer many options for at home use traction devices. Another form of traction employed by medical professionals is hip traction which takes pressure off the hip joint. This kind of treatment can be done in a clinic or at home with a leg traction at home device. Cervical pivot point (b) useful as a substitute for gentle cervical traction. It can also be used as a self-mobilization and strengthening tool. Promotes self-release for sternocleidomastoid, upper trapezius and 1st ribs. Occipivot (a) treat tension and stress syndromes, headaches, TMJ, cervical syndrome and tension at base of skull. Promotes the release of the intrinsic/extrinsic muscles of the cervical spine. Short Thoracic Pivot (c) use in combination with cervical (b) and lumbar (e) pivots, for craniosacral self treatment, as a sacral wedge for mobilization, as a rib release tool, and for sternal and anterior rib mobilization. Lumbar Pivot (e) Promote correct lordosis for static positioning or pivot in figure-eight along with bi-directional pelvic tilts. Add a sandbag to lower the abdomen for additional extension, self mobilization, and strengthening exercises for the abdomen. Standard Thoracic Pivot (d) treat lower thoracic/upper lumbar dysfunction use anterior release techniques or specific rib-release techniques. Ideal posture re-training tool for patients with forward head/kyphosis slumping. TTFT-200 Fixed Height Traction Table has Two sections, Traction unit pedestal, 350 lb (159 kg) working load capacity, Fixed height of 32" (81 cm). Available in six colors.